This product is an alkali resistant, fiberglass reinforced, portland cement based surface bonding cement used for construction of dry-stack (without mortar) cement block walls. 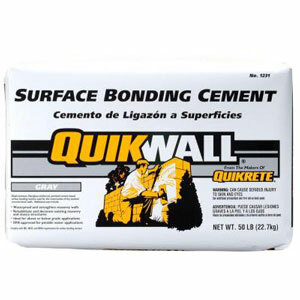 It is good for waterproofing and strengthening block walls without mortar, and rehabilitating existing walls with a water-resistant and decorative coating. We stock both white and gray.